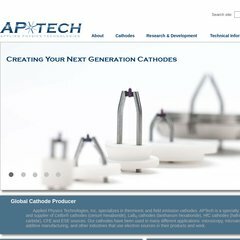 www.A-p-tech.com - Applied Physics Technologies, Inc. Topics: Key Staff, Upcoming Conferences, and Recent Conferences. It is hosted by Online Northwest (Oregon, Mcminnville,) using Apache/2 web server. It has 2 DNS records, ns94.worldnic.com, and ns93.worldnic.com. A-p-tech.com's server IP number is 206.212.237.233.